his hit singles, " Cooler than Me" and "I Took A Pill in Ibiza"
An American singer, songwriter, record producer, and a poet is named as Mike Posner. His full name is Michael Robert Henrion Posner. His songs are based on pop, folk, R&B, hip-hop, electropop genre. Some of his famous songs are "Cooler than Me", "Please Don't Go", "Bow Chicka Wow Wow", and "I Took a Pill in Ibiza". He was awarded the 2011 ASCAP Award for his first single "Cooler Than Me". He has written some of the famous songs for other artists such as Pharrell Williams, Big Sean, Wiz Khalifa, Snoop Dogg, Nick Jonas, and many more. Some of the famous songs he has co-written are "Boyfriend" for Justin Bieber, "Beneath Your Beautiful" for Labrinth, and "Sugar" for Maroon 5. He has released two albums, '31 Minutes to Takeoff' in August 2010 and 'At Night' in May 2016. Mike Posner performs at the half-time show in a Thanksgiving NFL game between Detroit Lions and Chicago Bears and gets roasted over the internet. "Cooler Than Me" and "I Took a Pill in Ibiza" hit-maker was made fun more than praised at his hometown. Audiences and viewers expected the tradition of featuring popular artists in the Thanksgiving halftime show. However, the "I Took a Pill in Ibiza" hitmaker wasn't as much as popular as expected. Many took over the internet to roast his performance and his new look with a beard. They even compared his new beard look to that of Bob Ross. His hits "I Took a Pill in Ibiza" and "Cooler than Me". He has co-written some of the popular songs such as "Boyfriend" by Justin Bieber and "Sugar" by Maroon 5. The full name of Mike Posner is Michael Robert Henrion Posner. He was born on 12 February 1988. His birthplace is Detroit, Michigan in the United States. He was born to Jon Posner and Roberta Henrion. He has an elder sister named Emily Posner. He holds American nationality. He grew up in Southfield, Michigan. As a child, he went to Bingham Farms Elementary School. He then attended Berkshire Middle School and completed his high school studies from Groves High School. He graduated with a B.A. in Sociology from Duke University. His father is Jewish and mother is Catholic. Initially, Posner started his musical career as a record producer. Back then, he worked with his hometown friend Big Sean. He has produced and featured himself on Big Sean's mixtapes. Posner featured mixtape, "Mike Posner & the Brain Trust" by Don Cannon and DJ Benzi was distributed free through iTunes U as educational audio content. The mixtape earned great response and reached number one position on the iTunes U chart. Following his success, in July 2009, he signed a record deal with J Records. In October 2009, Posner released his third mixtape titled One Foot Out the Door. The following year in August, he released his debut album, 31 Minutes to Takeoff. The album includes his hits like "Cooler Than Me", "Please Don't Go", and "Bow Chicka Wow Wow". In 2011, Posner was awarded ASCAP Award for his song "Cooler Than Me". Following the success of his first album, Posner started working for his second album titled Sky High. Posner struggled with depression and took a break from music. He started writing and producing for other artists. Posner announced via Twiter that the title of his pre-announced album, Sky High is changed to Pages, scheduled to be released in 2013. Posner went on Unplugged tour, starting from Philadelphia in March to ending at Los Angeles in April. Ahead of his second studio album, Posner released his EP titled The Truth in June 2015. His single, "I Took a Pill in Ibiza" was a smash hit. Posner's "I Took a Pill in Ibiza" was remixed by Norwegian production duo SeeB, which reached the top position in many countries. He released his second album titled, At Night, Alone in May 2016. He included both the original and remix of "I Took a Pill in Ibiza" in his second studio album. Posner released a poetry book titled Teardrops and Balloons in 2017. He also formed a group named Mansionz with American singer Blackbear in 2017. As Mansionz, they released their first self-titled album in March 2017, in which, they collaborated with G-Eazy, Cyhi The Prynce, Spark Master, Dennis Rodman, Soren Bryce, and Snooze God. In January 2018, Posner released his poetry album titled I was born in Detroit on a very, very, very, very, very, very, very cold day. Posner is working for his third studio album. He has already released the lead single "Song About You" from the album in September 2018. 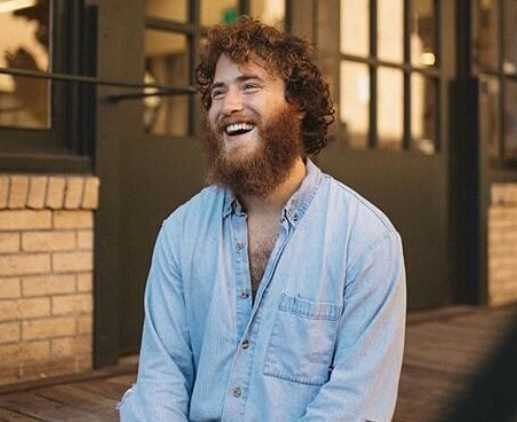 Mike Posner is unmarried and is reported to be single. No rumors about his affairs with anyone has hit the news. Moreover, it can be assumed that he likes to keep his personal life out of the limelight. However, he was linked with another singer Miley Cyrus in 2010. Posner clarified the rumor to be false at the time. Mike Posner stands 1.78m ie. five feet and ten inches tall. He has a body weight of 170 lbs ie 77 kg. He has an athletic body build. His eye color is brown and has a gray colored hair color. 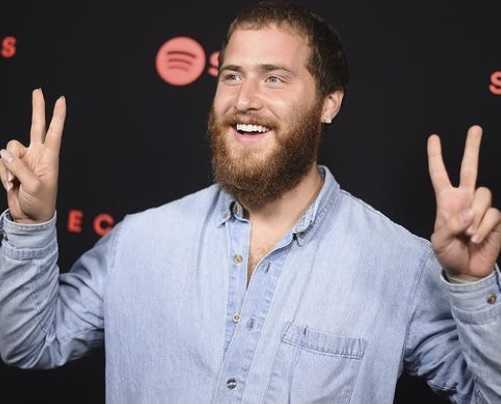 As of 2018, the net worth of 30-years old Mike Posner is estimated at around $8 million. Currently, he is working for his third studio album and has already released the lead single titled "Song About You" from the album. He scored 3.5/4.0 GPA in Sociology during graduation. Posner song "Bow Chicka Wow Wow" was later released with an added verse by rapper Lil Wayne. Posner's "I Took a Pill in Ibiza" was remixed by Norwegian production duo SeeB, which reached the top flight in many countries.